British designer, Kevin Scott, 21 has designed an awesome bendable bicycle that can tie itself to a lamp post without the need for a lock or chain. 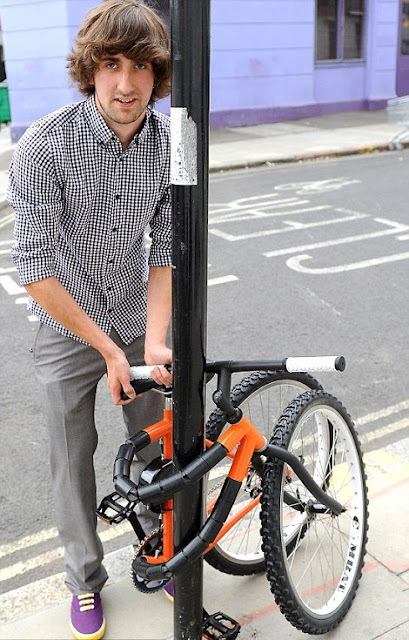 He used a ratchet system built into the frame of the bike to allow it to wrap around a pole, enabling a single bike lock to be wrapped through both wheels and the frame. 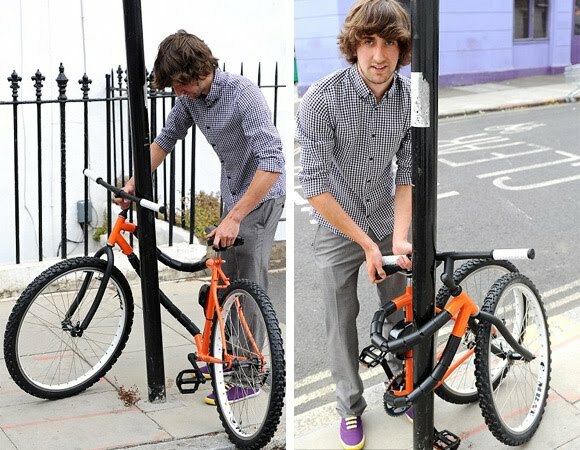 And its frame can be ratcheted tight to allow the bike to be ridden like a normal bike. 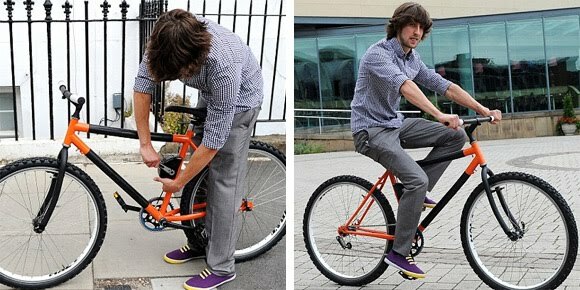 Mr Scott's bike is currently on show at the New Designers show at the Business Design Centre in Islington, north London.